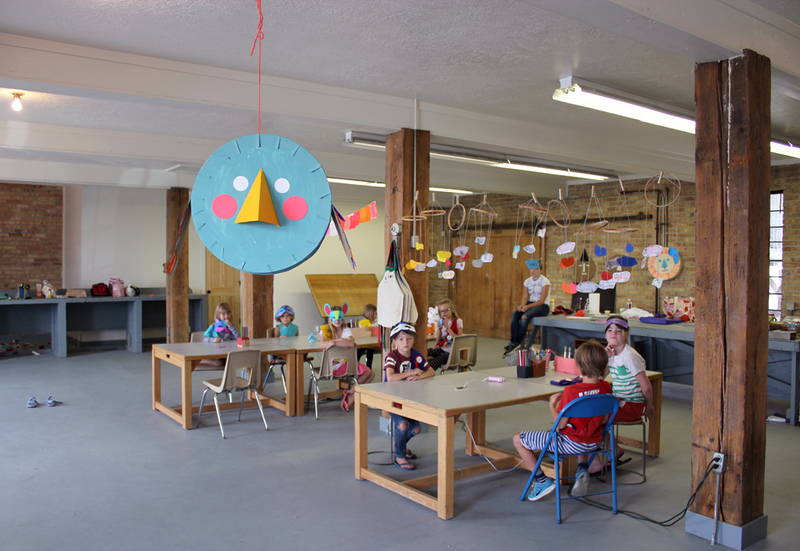 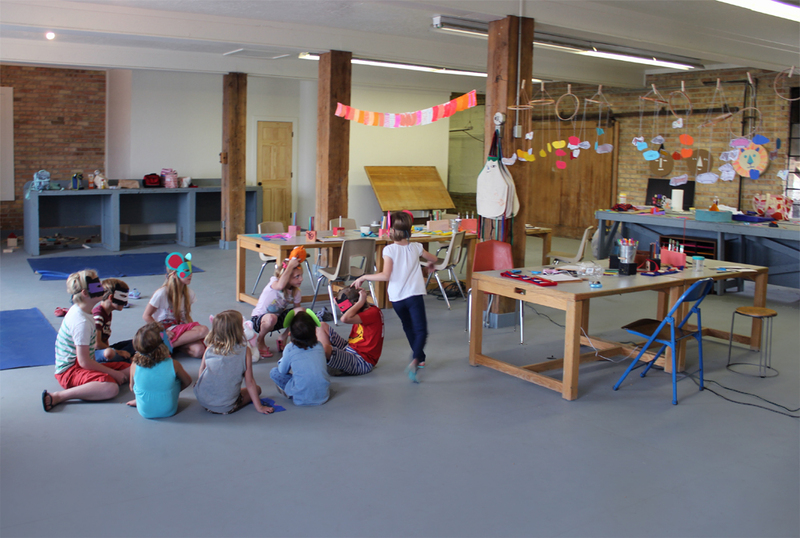 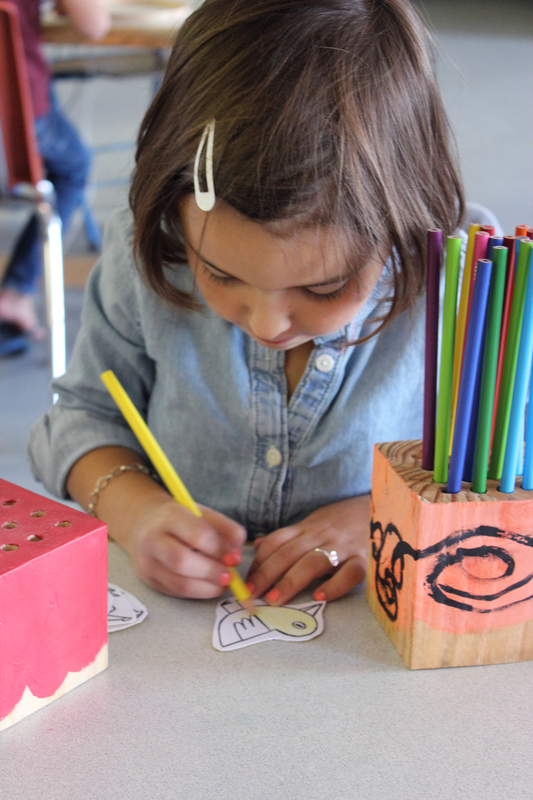 In our August session of Kids Craft Camp we added an Animal Unit (to replace the painting unit – which we blended together into all the other units) and the kids loved it. 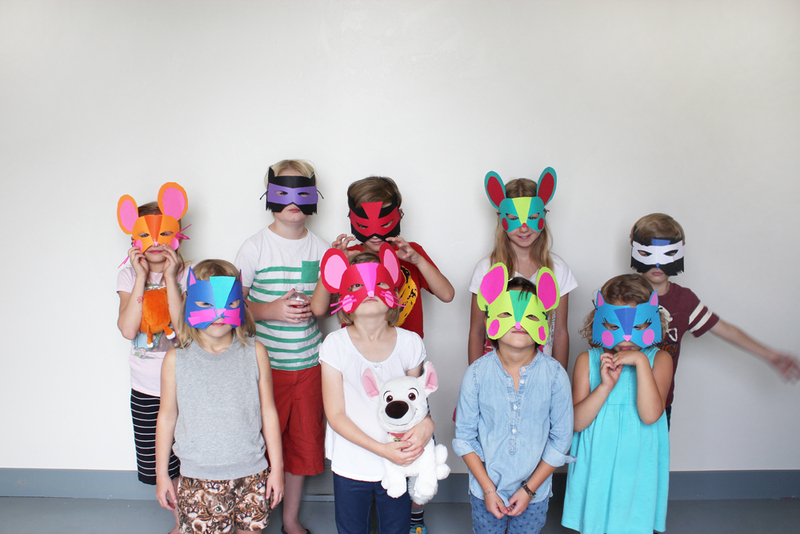 We had a bird piñata, complete with colorful wings, in this session as played cat and mouse with fun paper masks the kids made themselves. 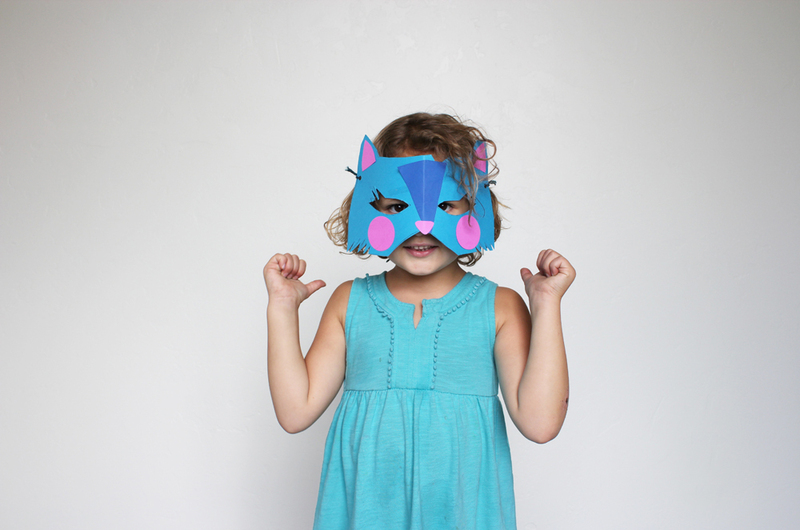 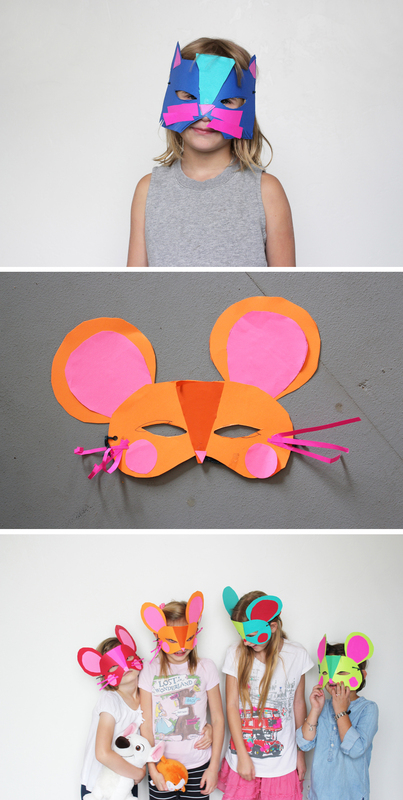 After making their paper masks the kids got in a circle and played cat, cat mouse (instead of duck duck goose). 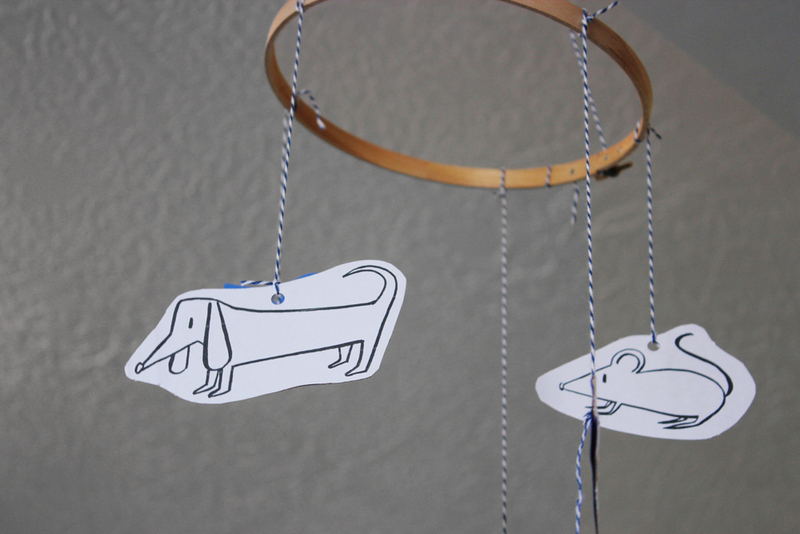 We also worked on simple animal mobiles using the drawings from my Stacking Animal blocks in my book Playful and the kids talked about their favorite animals and what type of animals they would make up if they could. 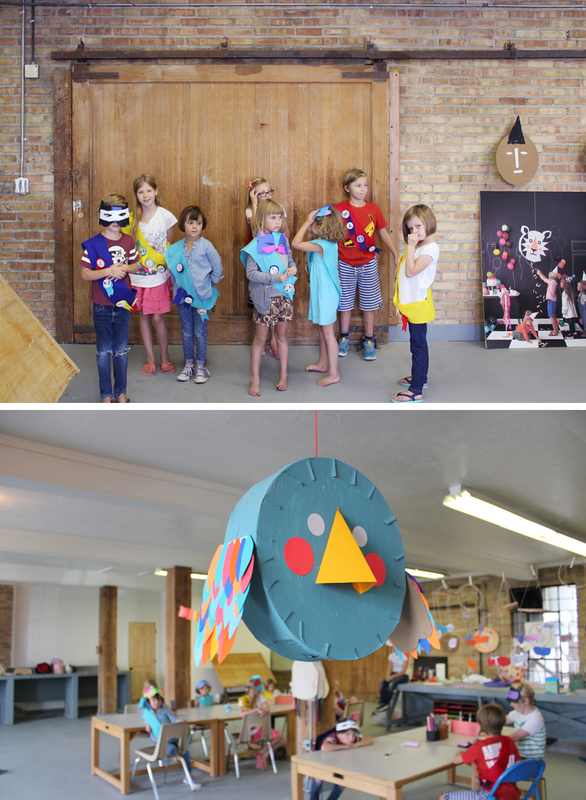 We ended of course with our fun piñata tradition from the first camp. 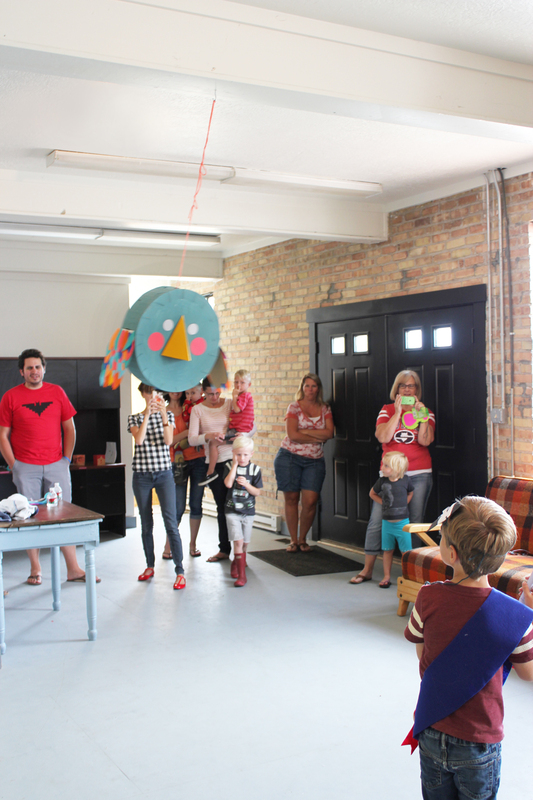 The kids new about this because they had seen the previous lion piñata hanging up all camp so they were crazy excited when piñata day finally came (and I have to admit, so was I). 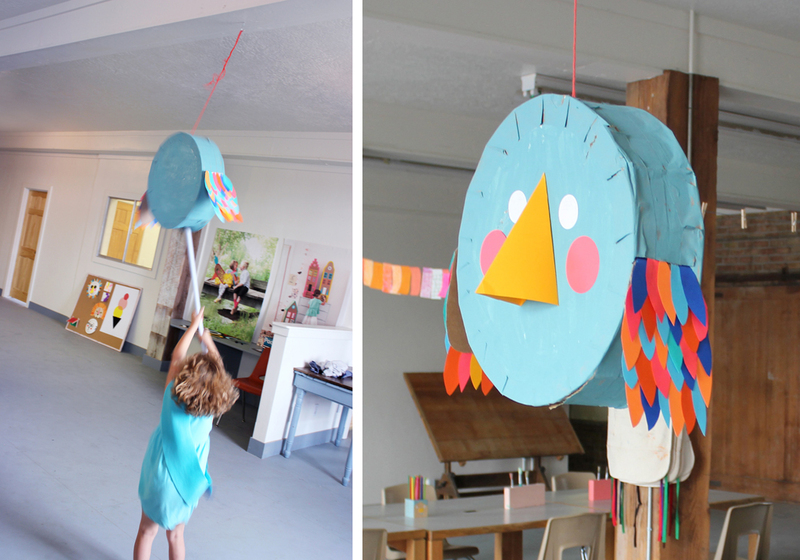 The wings were of course the first thing to go (they went flying right off! 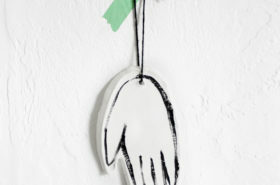 ;-0) and the beak got a bit squished but it was well worth it. 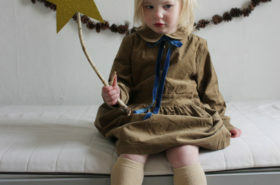 and now Mr. 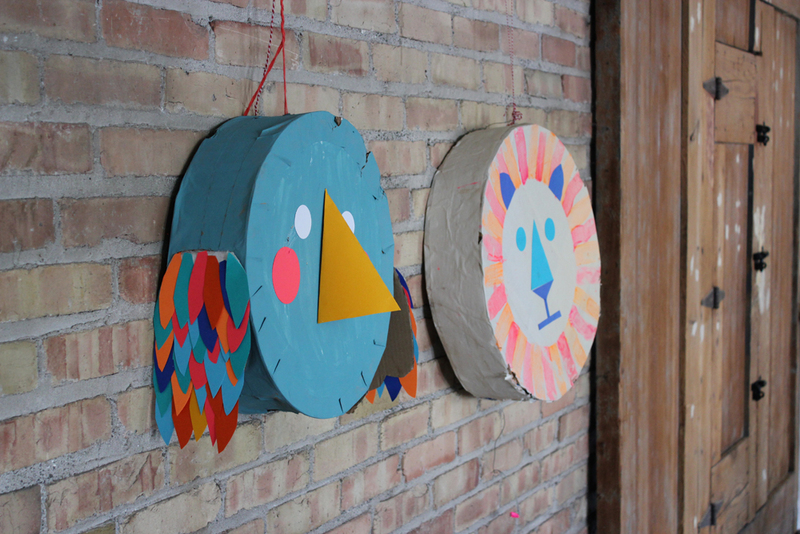 Lion has a bit of a battered Bird friend to join him…and now they hang together continuing to inspire future craft campers! 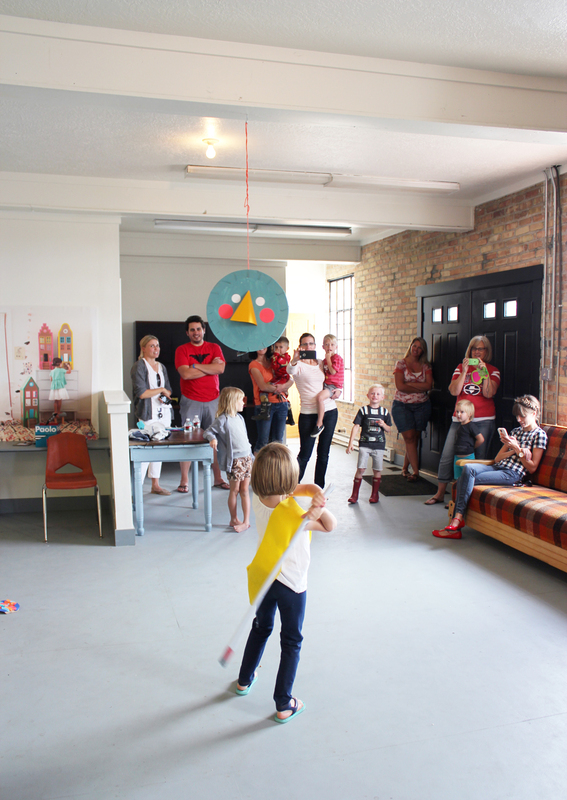 Lions and Tigers and Piñatas, Oh My! 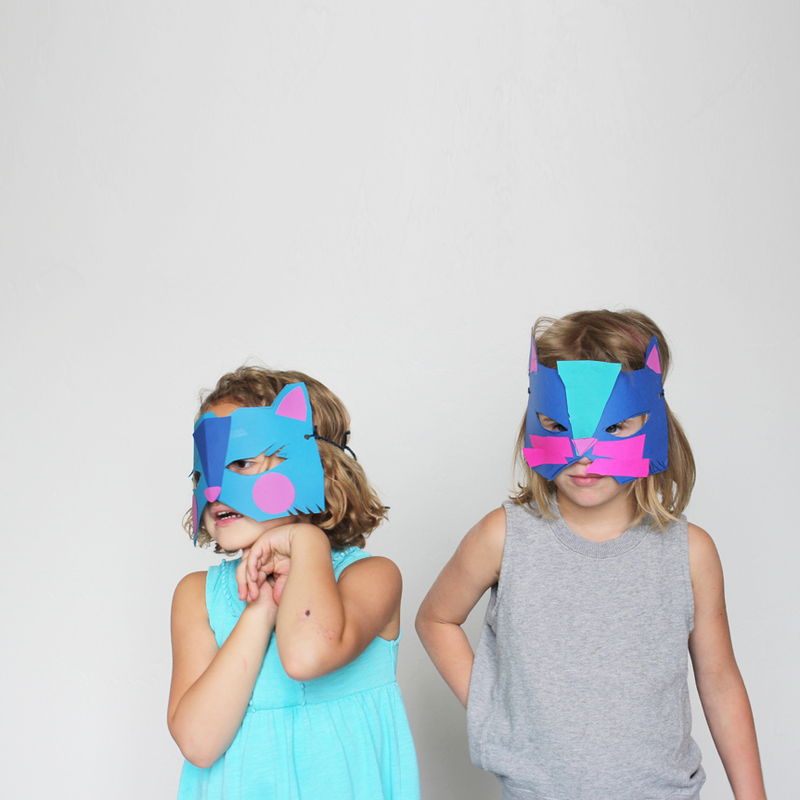 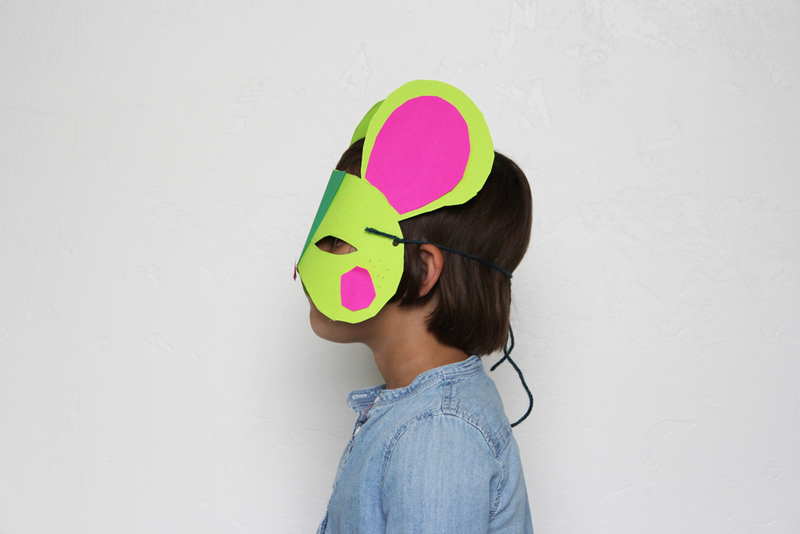 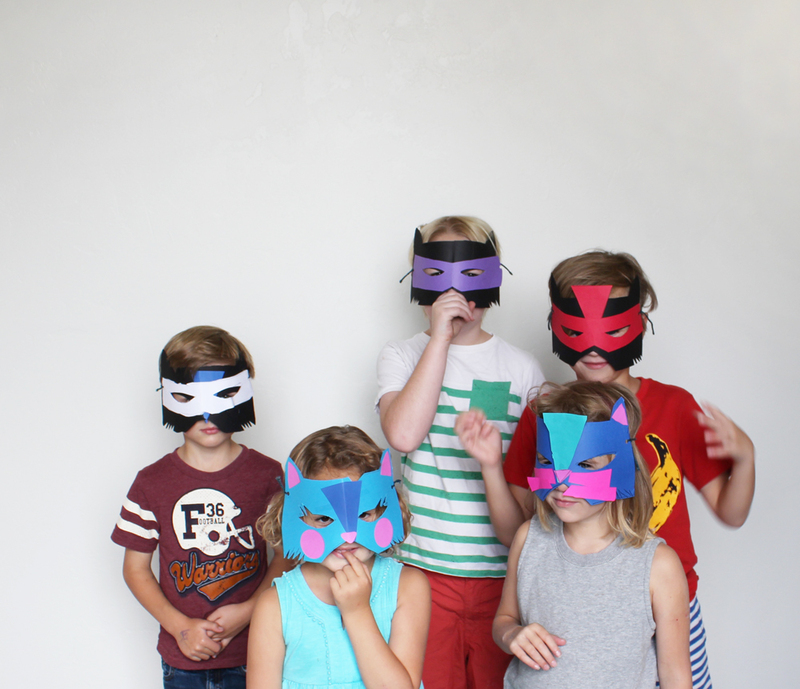 Playful Review and Interview over on Bloesem Kids!